Laugh, oh laugh "Ha ha! Hee hee!" Khenpo Tsultrim Gyamtso Rinpoche teaches through verse, pointing out the essence of a teaching. Enjoy the quotes. All sense objects are like rainbows that, though beautiful and desirable, are mere appearances that lack essence. If we believe otherwise, our desire to cling to a desirable object will increase, and our suffering will grow in equal measure. Once the object is understood to be empty of essence, it can be enjoyed without clinging, without suffering. What is there to give up? 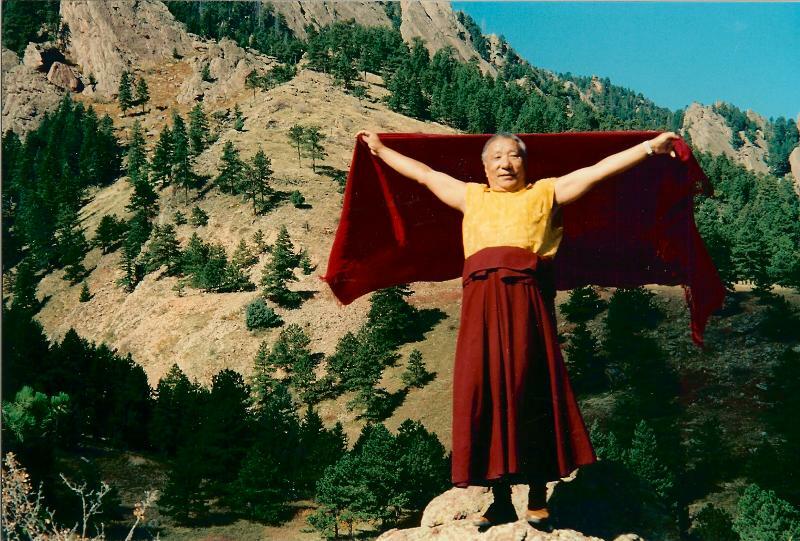 Khenpo Tsultrim Gyamtso Rinpoche, commentary on The 37 Practices of a Bodhisattva by Ngulchu Thogme, 1993.